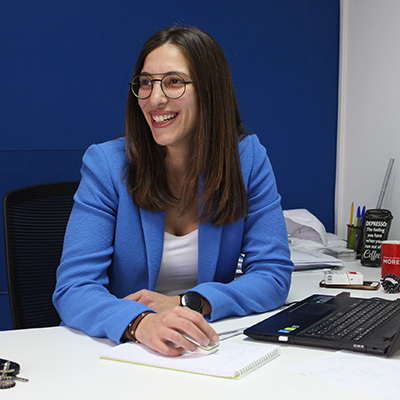 A passionate and energetic member of Tamayyaz team who enjoys and excels at designing and delivering tailor-made solutions for clients across the MENA Region. Her pleasant approach as well as her continuous pursuit towards structuring and linking information has helped her in developing and communicating sustainable programs for the clients and participants at various levels in organizations. In 2010, Angele joined Tamayyaz and soon became a Learning & Development Manager who leads the development of solutions starting with the needs assessment phase going through delivery and successful follow through. She also manages a team of Learning & Development Consultants and Facilitators and guides them throughout workshops and solutions customization and delivery. Talent Development & Soft Skills Workshops including Communication Skills, Presentation Skills, Public Speaking, Building Assertiveness, Time Management, and others. Management Development Programs covering Delegation Skills, Coaching Skills, Giving Feedback, Goal Setting, etc. Leadership Development Programs such as Change Management, Problem Solving and Decision Making, Emotional Intelligence, etc. Customer Service Programs such as Handling Telephone Interactions, Professional Business Writing, Workplace Etiquette & Professional Conduct as well as Office Management. 360 Degree Feedback Projects comprising Behavioral Competency Framework Development, 360 Degree Feedback and Culture Awareness Sessions, Online Implementation as well as Individual 360 Degree Feedback Coaching Sessions. HR Consultancy Projects including the development of Job Descriptions, Organizational Charts, Recruitment & Interviewing Processes, as well as Performance Management Processes. Executive Coaching Sessions that guide the development of Leaders and Executives. Team Building Events that combine fun and competition with specific learning outcomes that are directly linked to human behavior in the workplace. Angele holds a bachelor degree in Business Administration from the Lebanese University where she specialized in Business Management. In 2015, she became an MTa Learning Certified Facilitator and has been since then applying Experiential Learning throughout her workshops in order to guide specific behavioral learning. She is also a Certified Internal Auditor (ISO 9001: 2008 & 2015) who actively guides organizations in aligning their current processes to International Standards. She is known for continuously generating audit reports that identify process-related strengths and areas of development, verify the proper implementation of provisions, evaluate their effectiveness and initiate improvement actions. Thanks to her calmness and friendly approach, Angele has been passionately and successfully communicating her knowledge to complex and diverse groups.